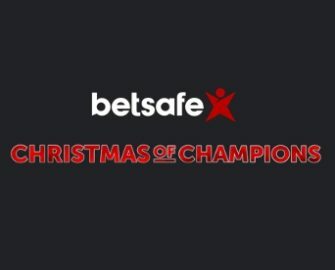 Betsafe – Christmas of Champions | Week 5! Get in gear and party like a champion this Christmas at Betsafe. We are already into the fourth week of their festive celebrations and the rewards just keep getting better. Log-in daily and go to the promotion page to unveil the next Christmas offer. Expect to find Free Spins, Big Spins or even Super Spins worth a whopping €3.00, cash races, tournaments with big prize pools, random reward drops, riddle rewards and much more. 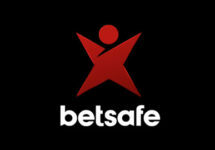 Betsafe bonus terms and conditions apply to all offers, unless otherwise stated. 25th – 28th December 2017 | Christmas Tournament: Play the most spins with minimum €1.00 bets on Flowers Christmas Edition, Fruit Shop Christmas Edition or Secrets of Christmas™ to race into the TOP15 for bonus prizes ranging from €25 – €350, credited on 29th December 2017 with a 2x wagering requirement within seven days. Players from Belgium, China, Greece, Malaysia, The Netherlands, Portugal, Romania, Ukraine and Canada, or who have Canadian dollar as their registered currency are not eligible to take part in this tournament. 26th December 2017 – 1st January 2018 | Jackpot Climb: Play on Hall of Gods™, Mega Fortune™ or Mega Fortune Dreams™ to score the most jackpots and earn one point for every €1.00 won from any of the progressive jackpots. The TOP10 scorers will win cash prizes ranging from €100 – €2,500, credited by 18:00 CET on 2nd January 2018 with no wagering requirement. 27th December 2017 | Riddle & Wager Rewards: Betsafe will issue a first riddle after OPT-IN. Players guessing the right game and wagering €50 on the game will instantly receive 30 Free Spins worth €0.20 and a second riddle. Solving it and wagering €100 on the second game will be rewarded with 30 BIG spins worth €1.00 and the third riddle. Guessing the third game correctly and wagering €250 on it will be instantly rewarded with a further 50 BIG Spins worth €1.00 on the same game. Wagering requirement is 35x FS winnings within three days. 28th December 2017 – Live Casino Bonus Cashback: Deposit minimum €20 and play on any table in the Live Casino and receive a 20% bonus cashback on net losses, up to €150, credited within 48 hours. Wagering requirement is 10x bonus within seven days. 29th December 2017 – Mobile Happy Hours: Claim a 25% bonus from your mobile on your available balance or a new deposit of minimum €20, up to €100. Wagering requirement is 35x bonus on mobile withing seven days. 30th December 2017 – Free Spins Drop: Wager a total of €50 | €350 | €800 on Leprechaun Goes To Hell to instantly receive 50 Free Spins | 20 BIG Spins worth €1.00 each | 10 Super Spins worth €3.00 each on Leprechaun Goes To Egypt. Wagering requirement is 35x FS winnings within three days. 31st December 2017 – Slots Battle: Prosperity Palacce vs Fu Er Dai, which slot will pay out the most? Players who deposit today minimum €20 and wager minimum €50 on the winning slot will receive 30 Free Spins on the game on Monday. Spin on mobile to receive an extra 10 Free Spins. Players can wager on both games to secure their Free Spins. Wagering requirement is 35x FS winnings within three days. 1st January 2018 – €1,500 Cash Race: Play actively with minimum €0.20 cash bets on Winterberries between 18:01 – 23:59 CET to randomly trigger a cash reward from €10 – €250, instantly credited with no wagering requirements. A tournament tab within the game client contains all details such as remaining time and prizes.